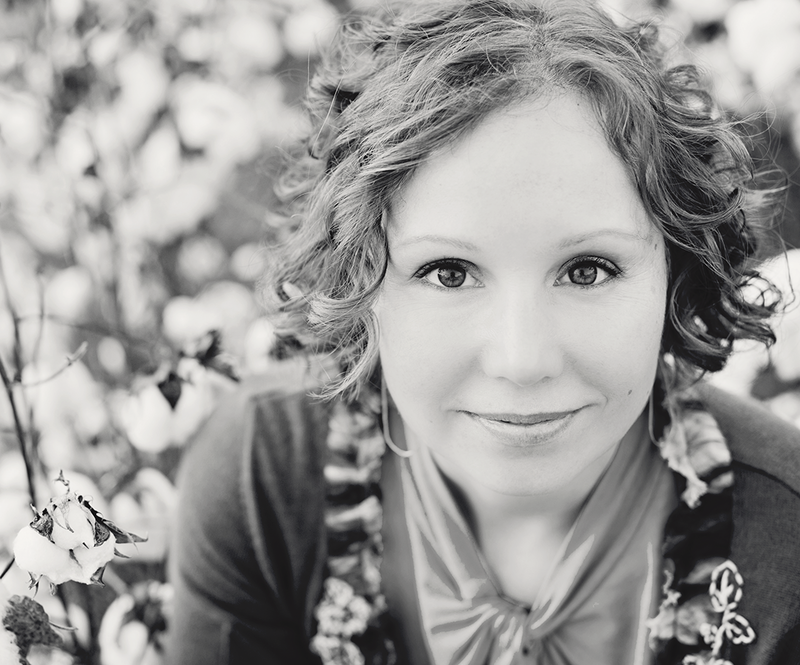 we are talking with Jennifer Stevens, CuddleTug creator! These little guys are adorable and such a great idea! 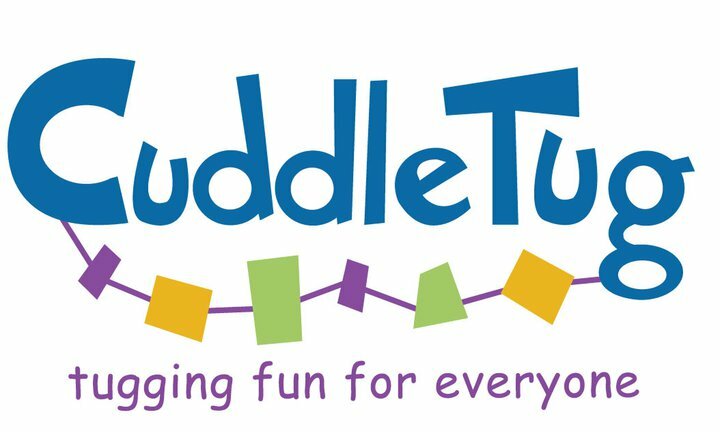 Here is a little bit about CuddleTug..... 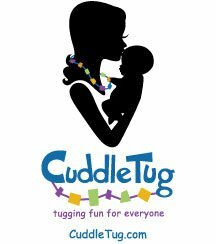 I created CuddleTug which is a stretchy, soft necklace that mom (or dad) can wear while holding or nursing/feeding a baby to keep baby's busy hands occupied. Instead of pinching mommy's skin, pulling on her hair, and tugging on jewelry, the baby has something entertaining and safe with which to play! CuddleTug can also be strapped to a stroller, high chair, or baby carrier for a toy that won't fall! You can attach a light weight toy onto the CuddleTug for even more fun. Babies who are 0 -3/4 months will love to look at the CuddleTug and when they start reaching and grabbing, it becomes incredibly useful! My little guy, Benjamin is 2.5 and I still use CT's with him--strapped on his car seat, shopping cart and I even wore it in church the other day. 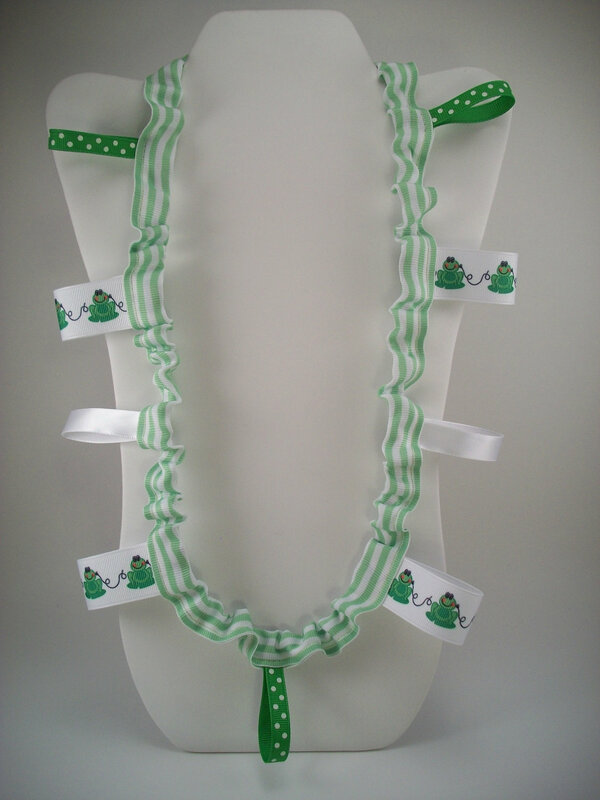 Lastly, CuddleTugs can help decorate diaper cakes! Needless to say, CuddleTug is a very useful and unique product. 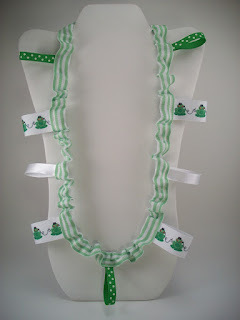 It makes a super baby shower gift and mommies love to buy CT's for themselves. CuddleTug is baby-inspired & mom-made in the USA! CuddleTug is truly a quality product that comes from the heart as I made it for my son, Benjamin. I trust and love it for my child, so other moms can expect the same! CuddleTug has been a great outlet for my creative edge. I really enjoy creating new designs and helping customers with special orders. There has also been quite a learning curve for marketing & social media which has been both challenging and interesting! But, the absolute best part is seeing the CuddleTugs being used and loved by mamas and babies! When you buy local you are supporting your own community and something that is hopefully made in the USA! Be sure to check out CuddleTug online and on Facebook, too. Tell Jennifer I sent you! In the meantime, Jennifer has a Hoppy Baby CuddleTug for a lucky reader! Two ways to earn entries, plus two bonus entries! 1. Leave a comment on this post below with who the CuddleTug would be for. 2. Post on the chp Facebook wall that you want that CuddleTug! Bonus Entries! Like the chp and CuddleTug Facebook pages and tell me you did it in either of your other two entries. Contest ends midnight EST this Saturday night. Good luck! Love the idea of the cuddletug! My five month old, Ellie, could definitely use this to play with while nursing (since she wants to tug on everything!). I have a baby on the way. I would love one of these!